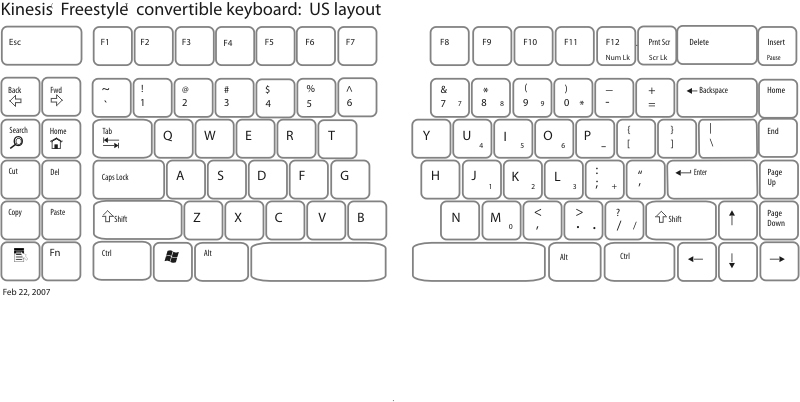 New Kinesis® Freestyle®2 is the only keyboard that adjusts to each individual's unique body type - from petite to large frame. The Freestyle2 has a zero degree slope which minimizes the height, effectively creating negative slope and reducing wrist extension. Most keyboards including ergonomic models have a 10 degree positive slope front to back. These designs tend to bend your wrists. 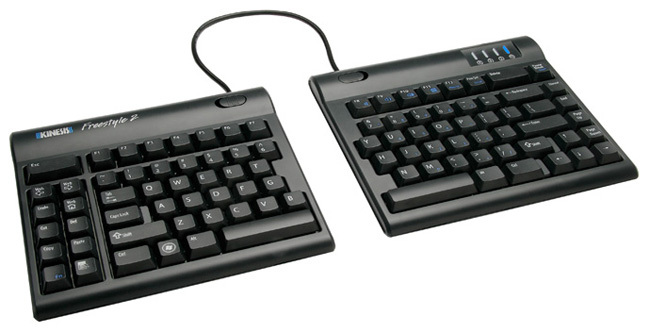 The Kinesis® Freestyle®2 adjustable split keyboard is an ultra-thin design, dramatically thinner than the original Freestyle. Freestyle2 is ideal for both office and travel use. Featuring simple, sturdy adjustment mechanisms the Freestyle2 is intuitive to configure and use. Interchangable accessories provide features never before available from just one keyboard design. 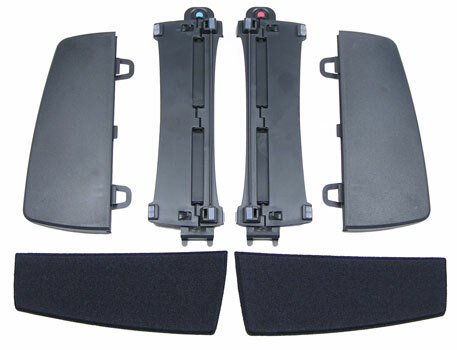 Two optional accessory packages, the VIP3™ and Freestyle V3™ can be combined to provide additional capabilities. These three configurations allow the user to choose features that offer complete separation, adjustable front splay, and adjustable tenting with or without integrated palm supports. 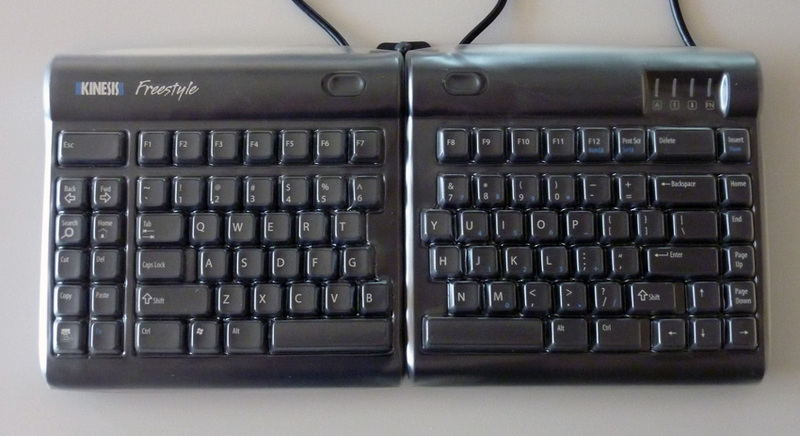 Other unique features of the Freestyle2 keyboard include driverless hot keys for mouse intensive actions, volume control & calculator keys, an embedded 10-key (PC only), low-profile design to promote neutral wrist posture, a Pivot Tether™ connecting the two keying modules together and quiet, tactile key switches. Embedded 10-key. Simply press the "Fn" key to toggle between the embedded 10-key and alphanumeric keys. The Freestyle2 for Mac is available here! Fentek's Custom keyboard protectors the life of your keyboard by keeping out dirt, dust, food, etc and make for easy cleaning. 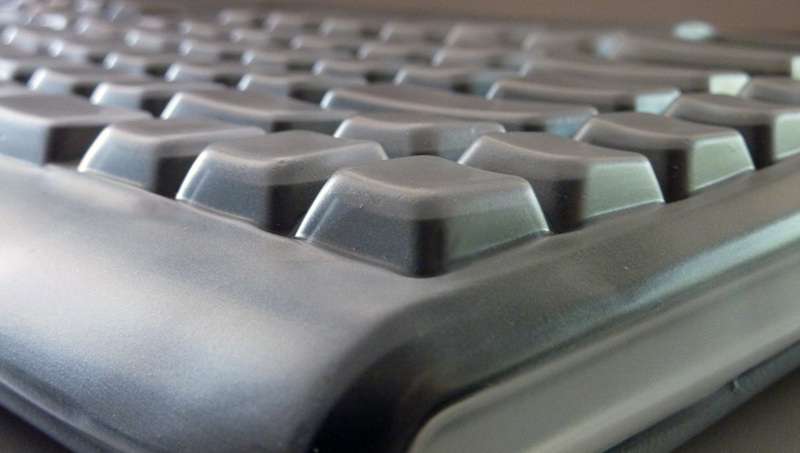 Our keyboard protectors are made of a thin soft polyurethane material that is form fitted around each key, still allowing full use of the keyboard without interfering with typing speed or accuracy. 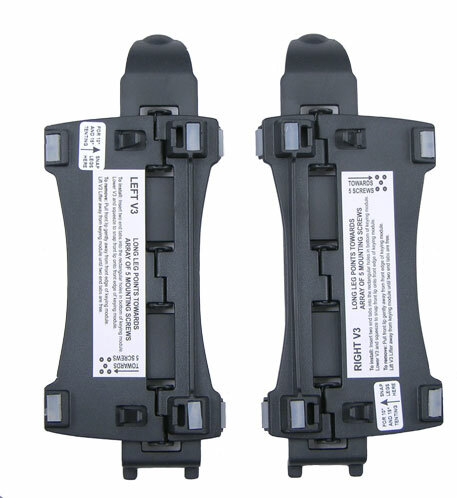 Our seals are designed to wrap around the edge of the keyboard for easy installation and removal.